4. Read Source 4. 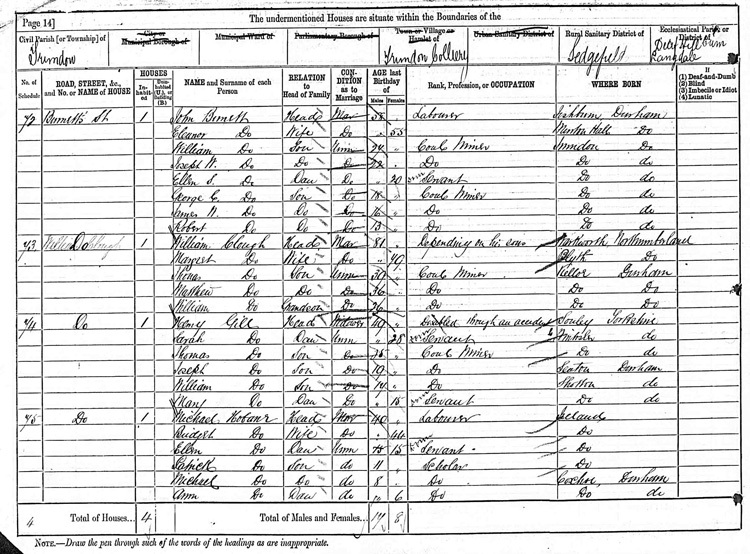 This is part of the 1881 census return for Trimdon. How many people did each job? What does this tell you about what kind of place Trimdon was? At roughly what age did children go out to work? Who was the youngest worker on this street? Who is the oldest person in this street? Did all the women go out to work?